Schools and universities in Colorado have a lot to benefit from window film application. From high saving solutions to heightened security measures, window film delivers budget-conscious, effective solutions for schools. 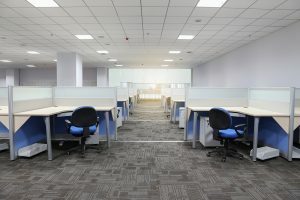 Whether you’re looking to reduce glare in your university computer labs in Boulder or promote a safer environment for your school district in Cherry Creek, we’ve got you covered. 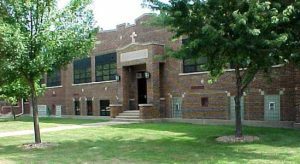 Safety and security window film has become a necessity for schools and universities across the state of Colorado. These innovative films provide invisible protection against various, unknown threats. Defend students and teachers from natural disasters, break-ins, burglaries, domestic attacks, and much more. Learn more about specialty safety and security window film. Overexposure to UV radiation can lead to a multitude of health complications– protect students and teachers from harsh UV rays with UV blocking window film. UV rays can cause cataracts, premature aging, skin cancer, immune system suppression, and much more. Protect your Colorado school valuables and property from permanent sun damage as well. Energy efficient window film is pertinent for helping schools save money. With energy efficient film, your energy costs will drastically be lowered all year-round. Optimize student and teacher comfort in order to improve productivity. Unfortunately, many schools and universities experience vandalism or graffiti. This can be an expensive solution to solve– fortunately, anti-graffiti window film provides a cost-effective solution in protecting costly surfaces. 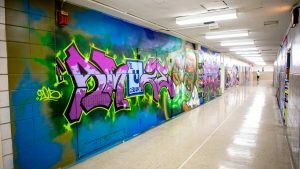 Anti-graffiti window film is durable enough to withstand acid etching while providing a clean, professional school environment. Learn more about anti-graffiti window film. 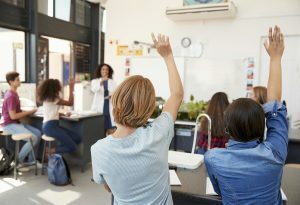 Daylight redirecting window film has been scientifically proven to decrease absentee rates, improve student testing, improve teacher and staff productivity, all while lowering lighting costs. By redirecting natural light as deep as 40 feet into your Colorado school or university, you’ll enjoy a brighter, more welcoming environment. School privacy is a vital part of comprehensive security measures. Applying reflective exterior window tint can obstruct unwanting views from the outside in. 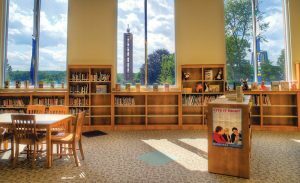 Deter assailants and burglars with privacy tinting so they’re unable to case the campus and view your students and staff. For more information on window film applications for your Colorado school or university, contact us today!